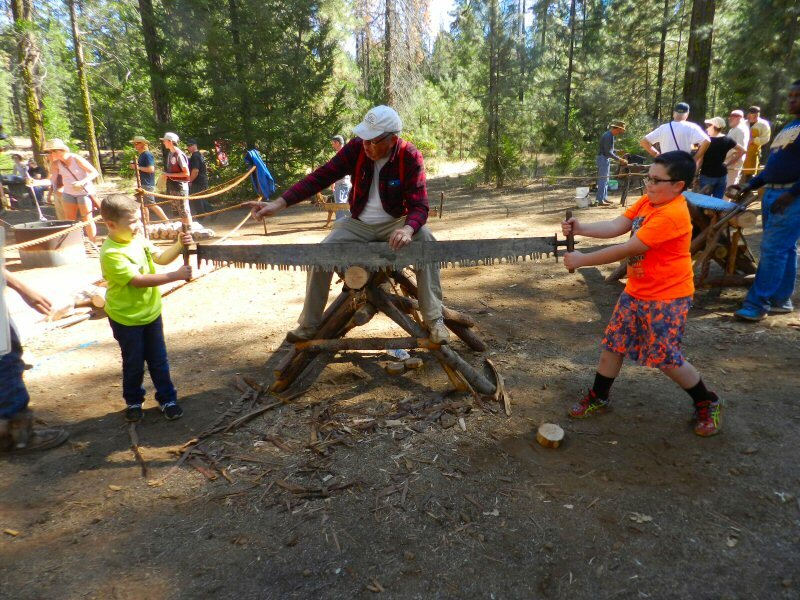 More than 1000 people came to Burney Falls McArthur Park on October 9 for it’s 27th Annual Heritage Day. 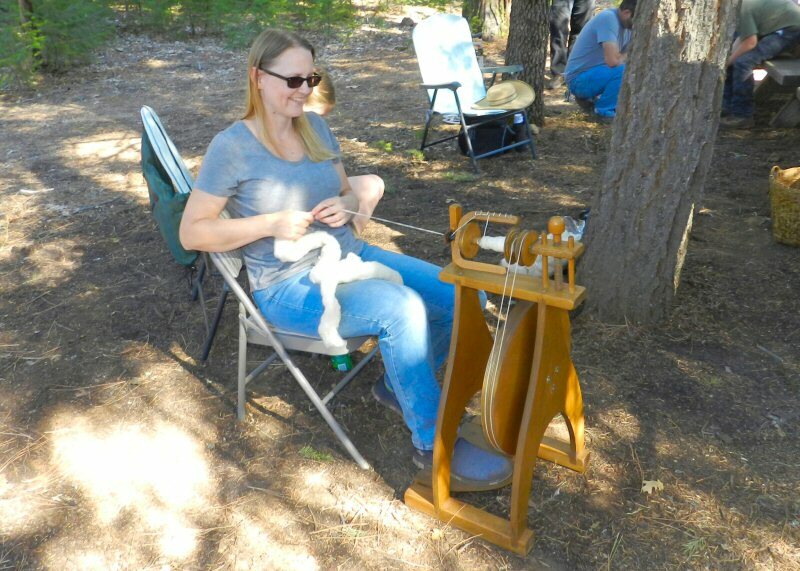 From noon to 4 p.m. men, women, and children enjoyed listening to old-time music and participating and observing in a variety of pioneer crafts and activities. 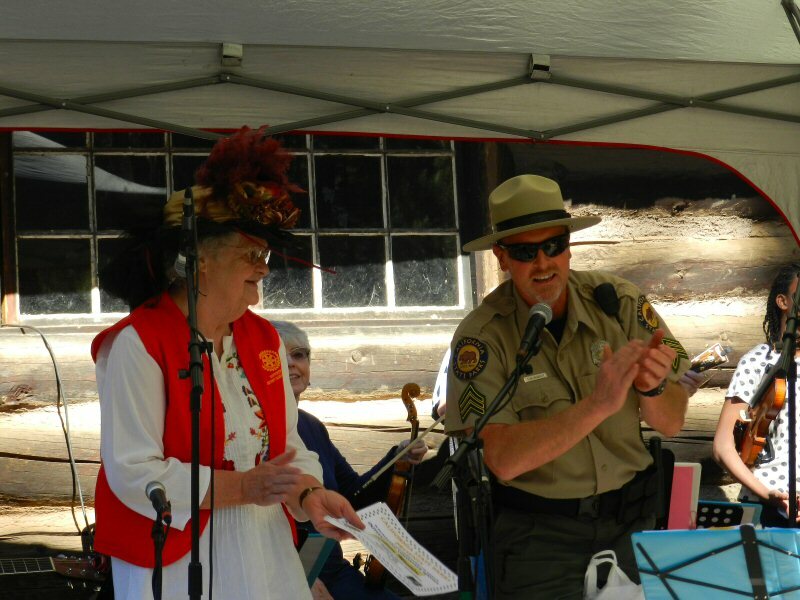 Many of the folks were dressed in authentic 19th century attire. The Burney Lions Club and the Rotary Club of Burney-Fall River shared the responsibility of directing traffic and making sure that everyone found a parking space. Parking for the day was free. The Lions also barbecued lots of tasty burgers. 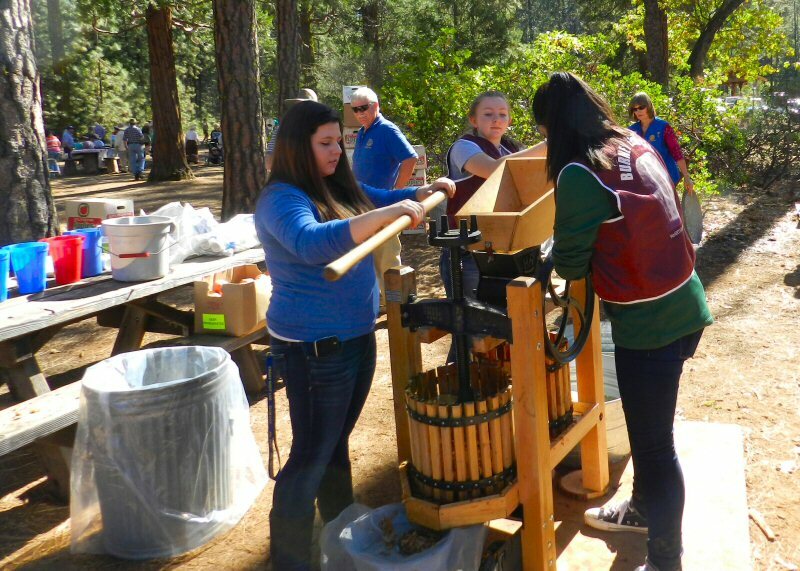 Rotary helped to man the apple press which provided lots of delicious apple cider for everyone who attended. 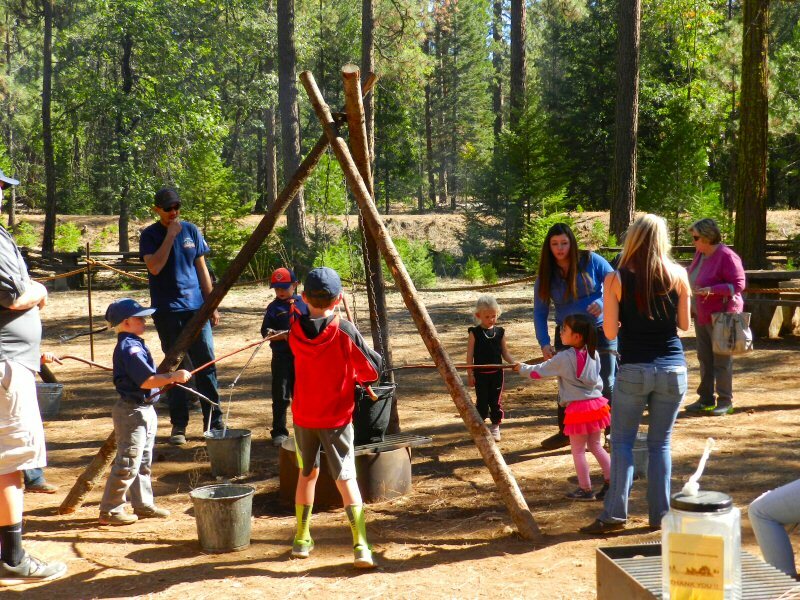 Many volunteers from the Boy Scouts and the Leos Club were teaching and assisting at the various craft and activity stations. The local boy scout and cub scout scouts camped the night before in the park. 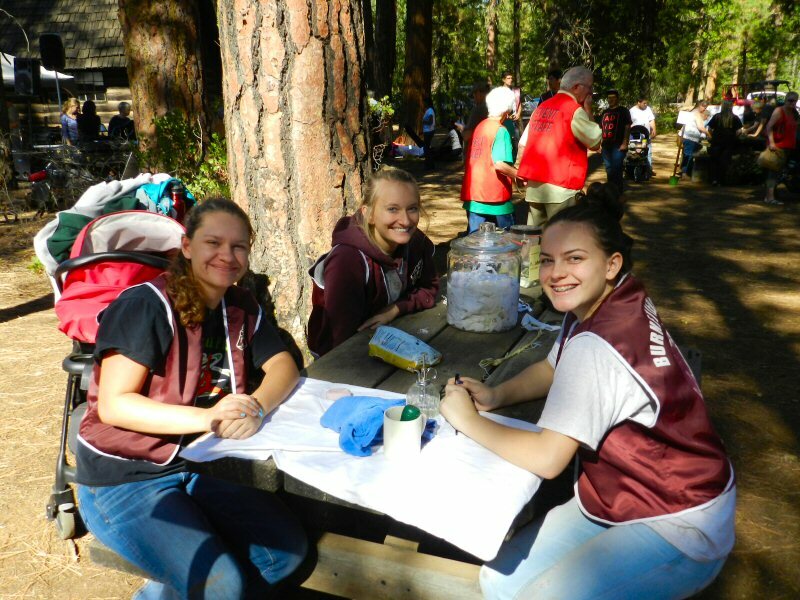 Melissa Madden, activities director at Burney High School, helped to coordinate the Leos. 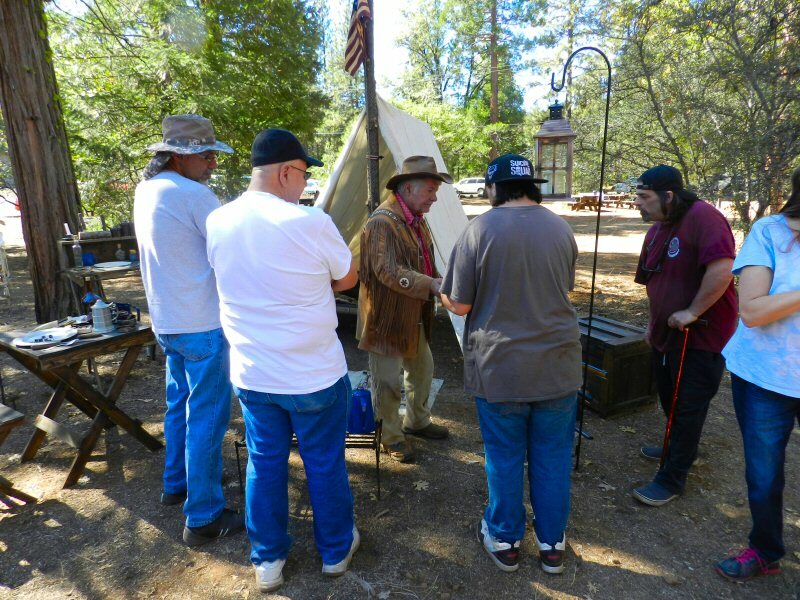 Each station gave people an opportunity to learn how our forebears lived. 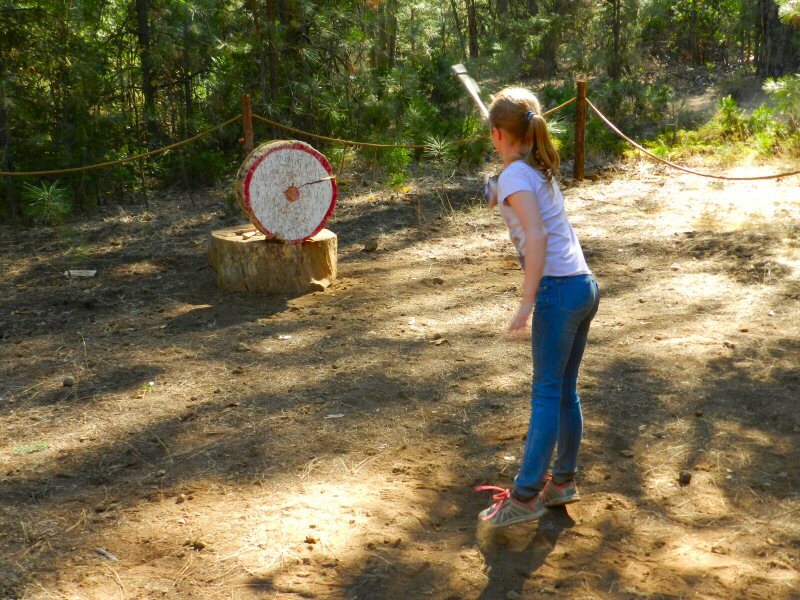 Learning to throw a tomahawk and a knife was a fun challenge. 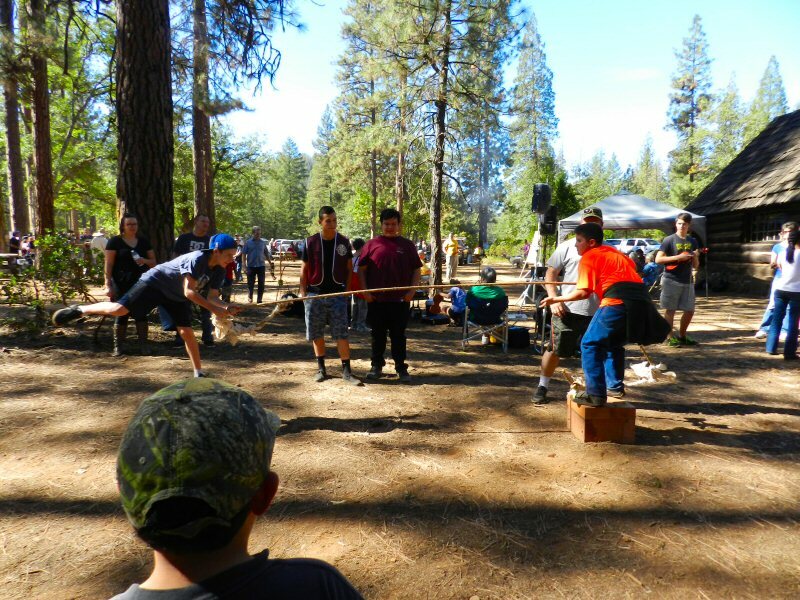 Competing in a tug-o-war on a box was a thrill. 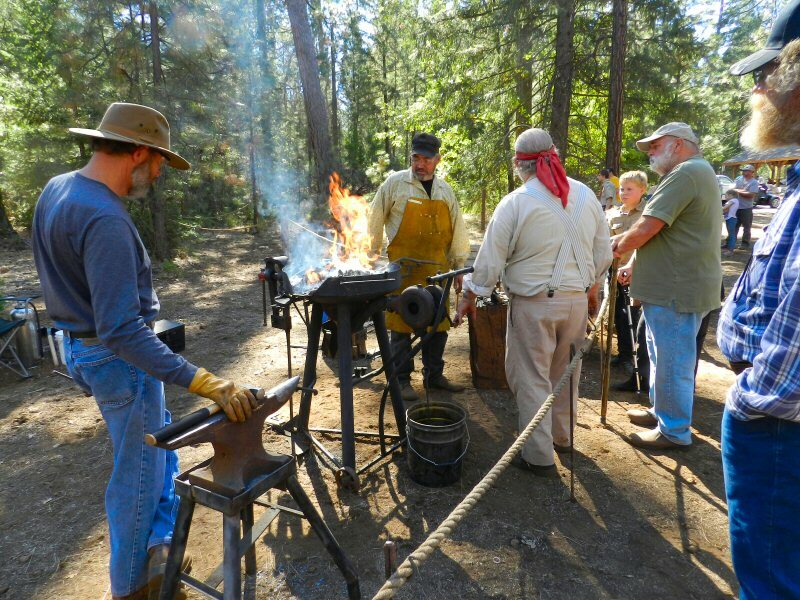 Ron Shannon was busy teaching people the art of blacksmithing. 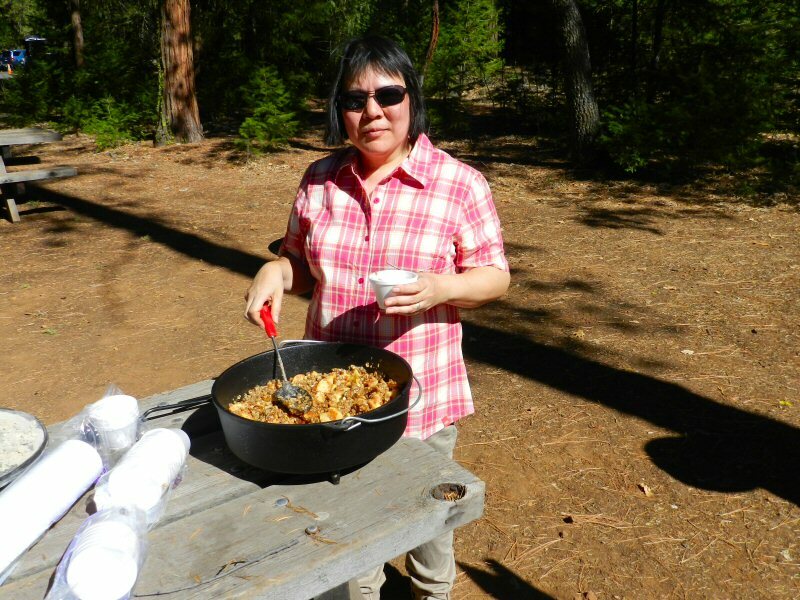 The main culinary delight of the festival was delicious apple crisp baked in a Dutch oven by Veronica Skoan. Yummy yummy apples sliced by the kids, together with oats, brown sugar, and other seasonings cooked to blue-ribbon perfection. 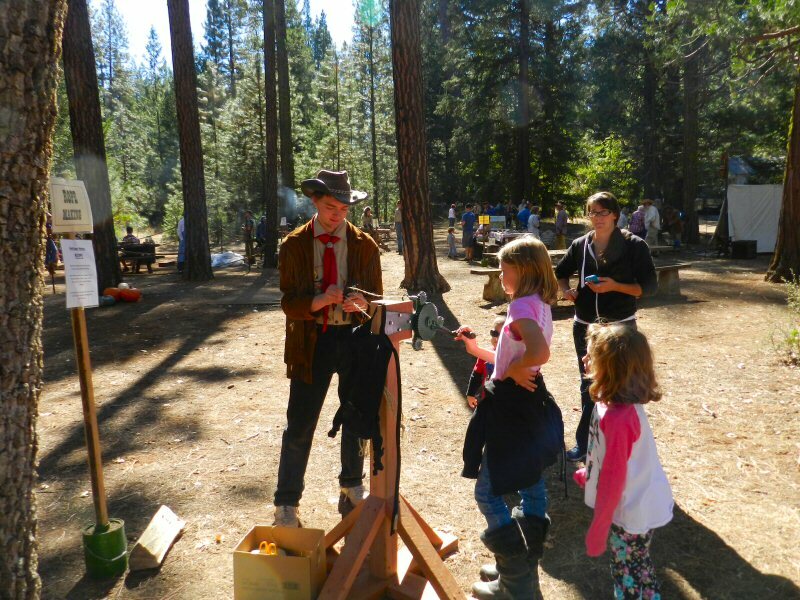 The Pit River Pioneers had a display featuring historical implements and weapons and an old pioneer tent site. The tent site was erected by Stan Vigolo. Stan has been helping with Heritage Day since it began. 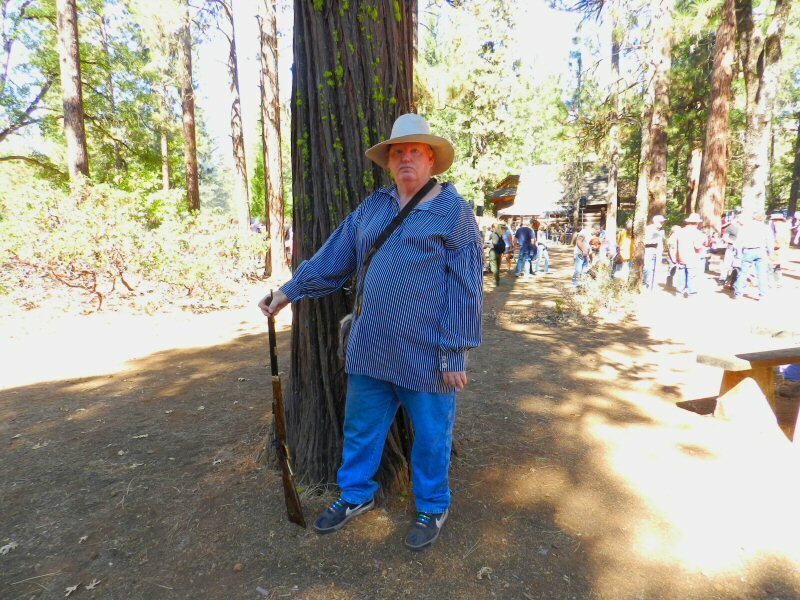 At the first Heritage Day 27 years ago, Stan had his picture taken standing in buckskins by a large conifer. Subsequently, that photo was used by the park on a pamphlet to advertise the event. Here he is standing by the same tree at this year’s event. The entire occasion was enhanced by delightful old-time music. 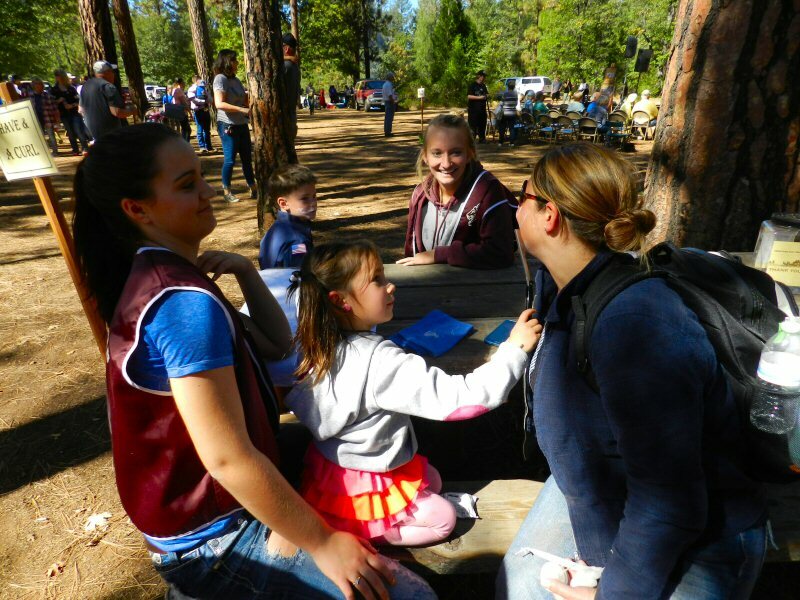 Fiddlers, guitar pickers, bass and mandolin players, banjoists, and singers from the Intermountain area and beyond treated their audience to a broad range of classic and original bluegrass, country, and traditional folk tunes. 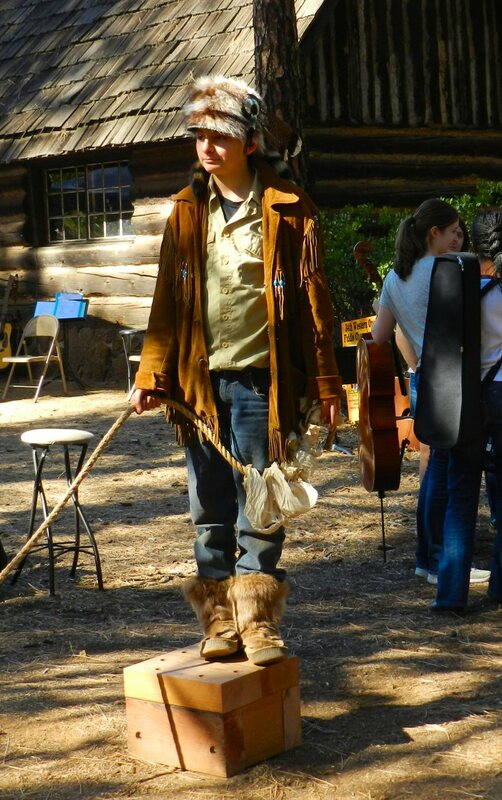 Amongst the groups performing were the Old Time Fiddlers, Shingletown Bound, and Loosely Strung from Red Bluff. A highlight of the afternoon was the presentation of Certificates of Appreciation to four local volunteers who have been long-time supporters of Heritage Day. 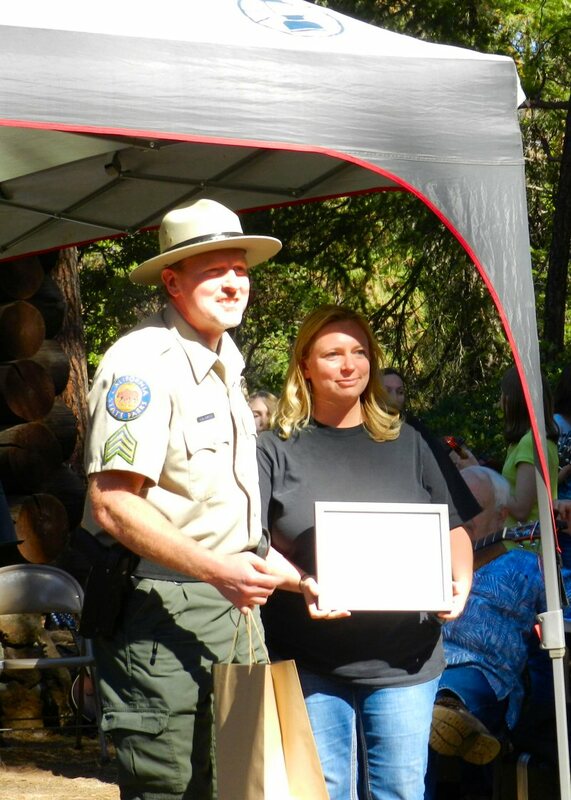 At 2 p.m. Catherine Camp, chairwoman of the McArthur-Burney Falls Interpretive Association and Brett Mizeur, Supervising Ranger for the park, presented awards to Melissa Madden, Stan Vigolo, and Chuck Evans, and Craig Harrington.